My love of drawing caricatures started early. 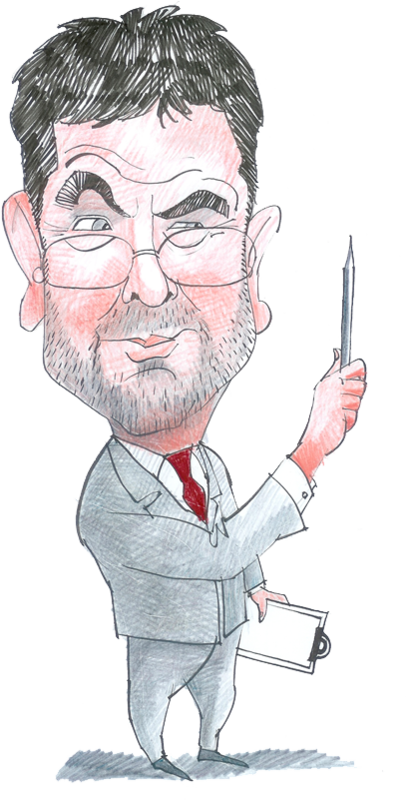 I remember when I was about 8 years old saying to my dad that I was going to draw his portrait. I think it was at that moment that I knew where my career lay. Leaving school at 16 I went straight in to working for Barclays Bank. After three years the Bank and I mutually agreed that my future lay elsewhere. Two more years of office jobs and one day I came home and announced to my parents that I was now a freelance cartoonist. “What qualifications do you need for that?” my mum asked. 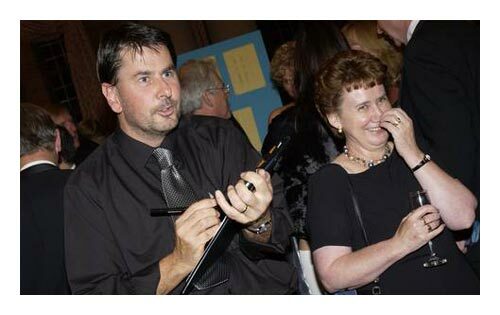 Steven's art is appreciated by guests everywhere, especially at weddings, conferences, exhibitions, promotions, dinners, balls, parties and more! 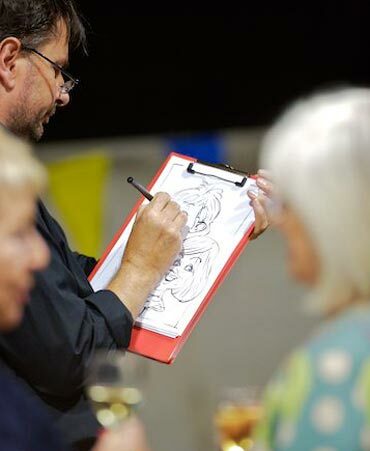 Working either standing and mingling with guests, or seated, a light hearted caricature drawn in black and white or colour on A4 paper usually takes about four minutes. 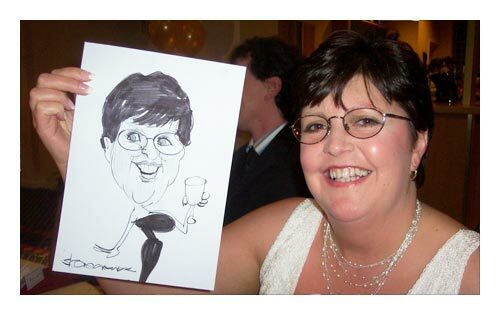 A well drawn caricature drawn by a friendly and professional caricaturist or cartoonist is an unforgettable memento of your event for your guests or clients.